← Creative Projects: A Few Ideas And Tools! 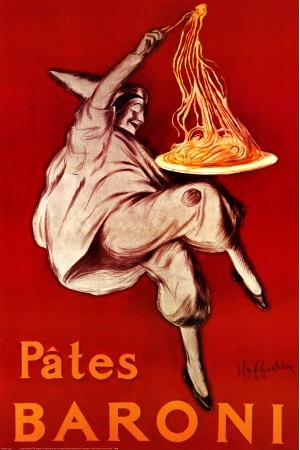 of bronze, to give factory-made pasta that home-made feel. The more traditional the better, until now. does it say (I’m not kidding… this is exactly what’s on the box!)? This is a bold and unexpected turn. All along I’ve been wasting my time choosing food based on taste, when I should have been thinking about particle size; grandma has definitely left the kitchen! But this movement isn’t limited to the kitchen. Showing the metrics that proves the quality of a product is becoming the norm, not the exception. It shouldn’t be surprising that certifications have also shown up in the corporate workplace. You’ve seen them for years, but they’ve only recently taken root. It may be a Microsoft certification in Word or PowerPoint, or it might be a PMI certification in project management. Your new employees may have added some certifications to make themselves more marketable, and HR departments are certainly adding certifications as requirements or at least “good to have’s”. staff loyalty. One of the things that your staff wants, and that most increases loyalty, is training. We’re still in an employer’s market, but we also have the most unhappy work force that America has seen since anyone’s been tracking this data. A little investment in training now, could provide a big benefit if you can avoid the usual cycle of high staff turnover at the end of a down cycle. Give it some thought. Your staff is your most important resource, and a good certification program can help you keep them as the market continues to improve. And that’s my Niccolls for today! This entry was posted in Best Practices, Expectations and Rewards, Improvement, Continuous or Not, Learning and Development, Uncategorized and tagged Certification, Improve, Quality, Training. Bookmark the permalink. 1 Response to Gramdma Has Left The Kitchen!